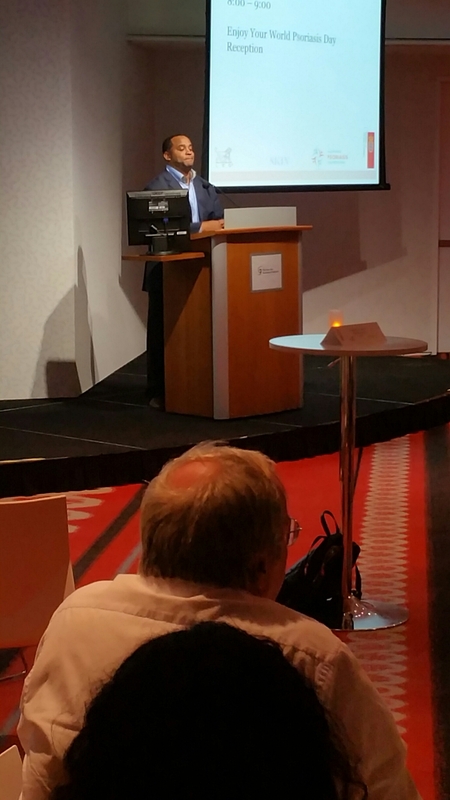 What a fantastic gathering last night at the 7 World Trade building in New York City. 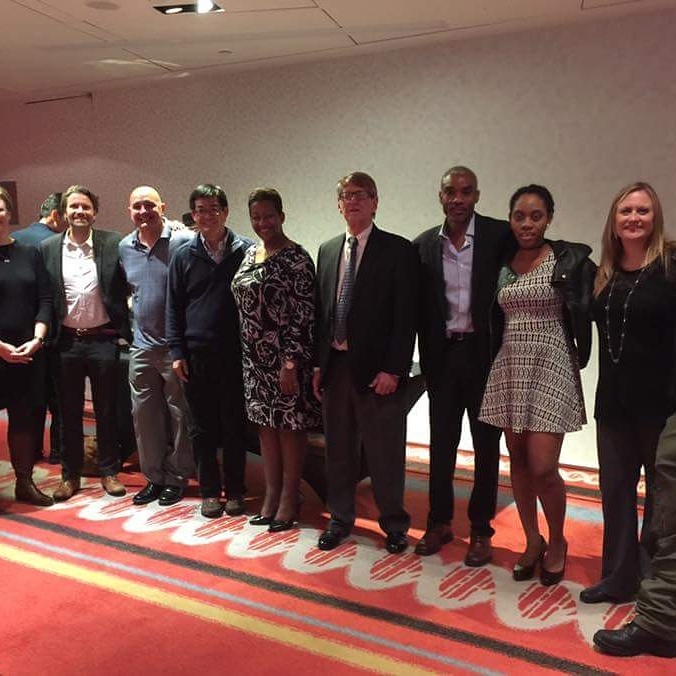 Leo Pharmaceuticals sponsored an outstanding event. World renowned doctors attended along with many pso/psa patients. I was honored to be an invited guest. As a patient Influencer in the psoriasis community I would like to extend a warm and very much appreciated thank you. 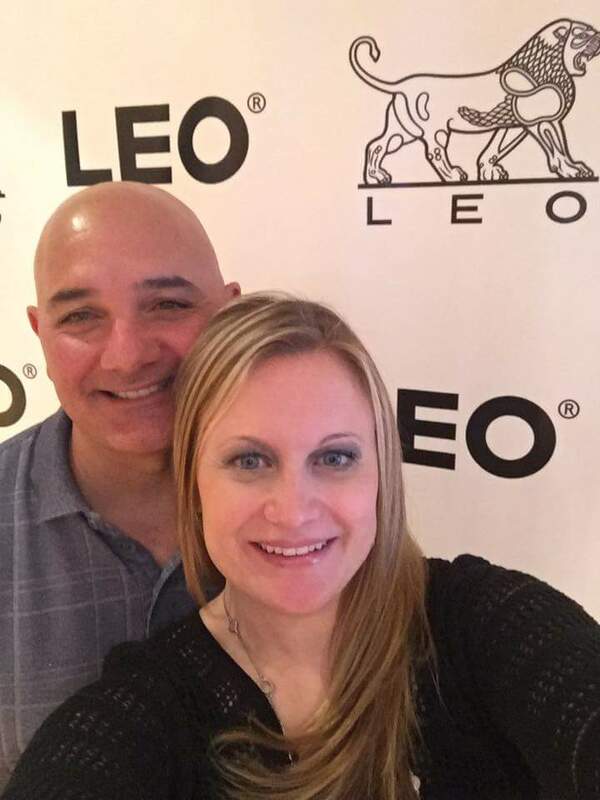 Companies like Leo Pharmaceuticals provides us with hope. 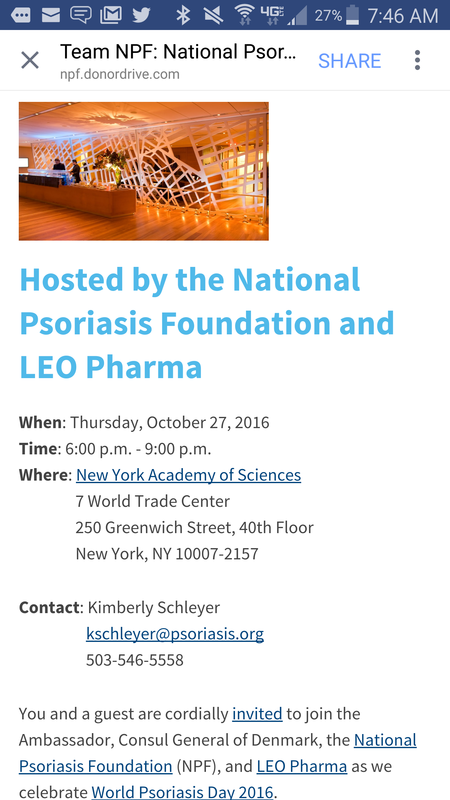 This is the second time Leo Pharmaceuticals sponsored an event like this in NYC for World Psoriasis Day. I was very much impressed with each and every presentation. Leo understands the seriousness of our disease. 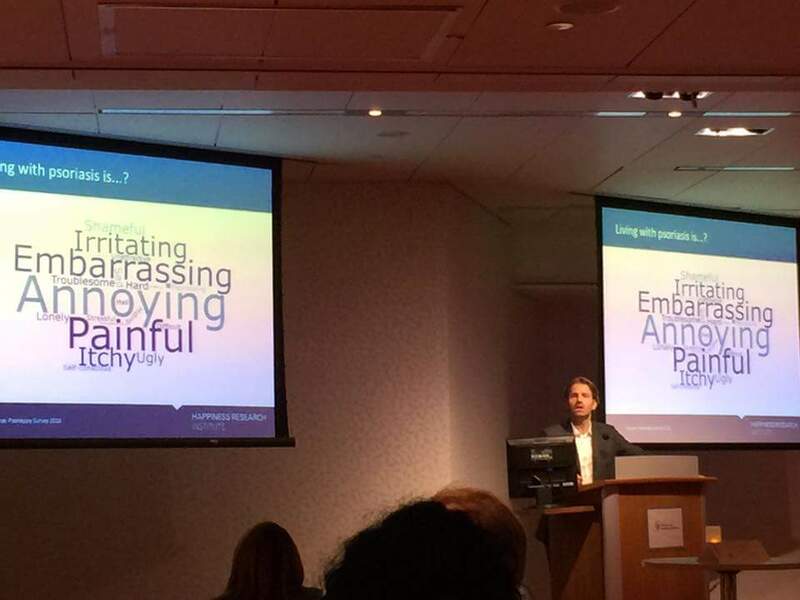 For instance, a speaker by the name of Mike from PSOHAPPY is analyzing the emotional impact of psoriasis and the affect on the patient. 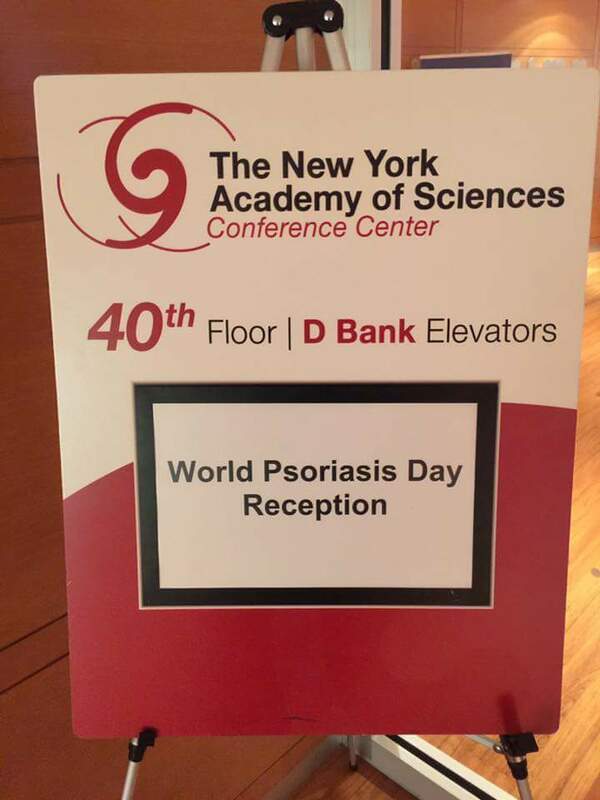 I’m confident Mike will show the world that psoriasis is “not just a skin disease”. More and more patients are speaking out to inspire others. 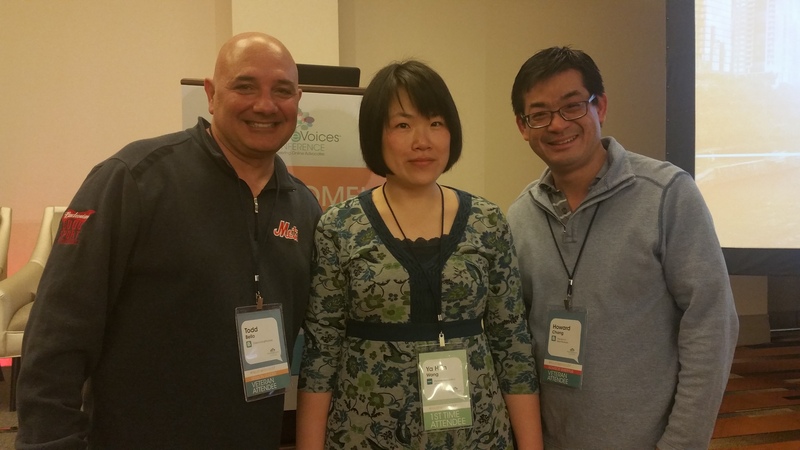 These patient Ambassadors are critical to the psoriasis community. Their stories and voices are so powerful to someone who is feeling beaten down from this disease. Hearing them speak may encourage a person to get the help they need. 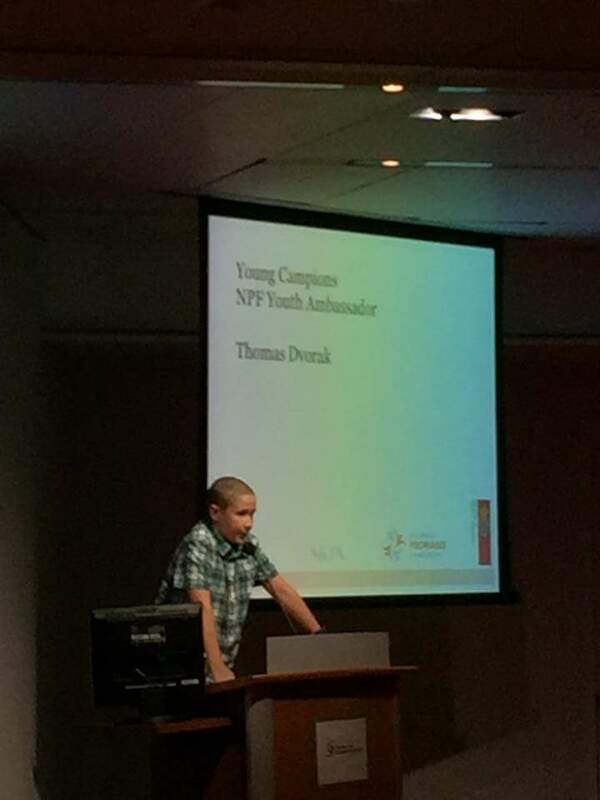 Kayla and Thomas shown above in these photos are volunteers for the National Psoriasis Foundation. 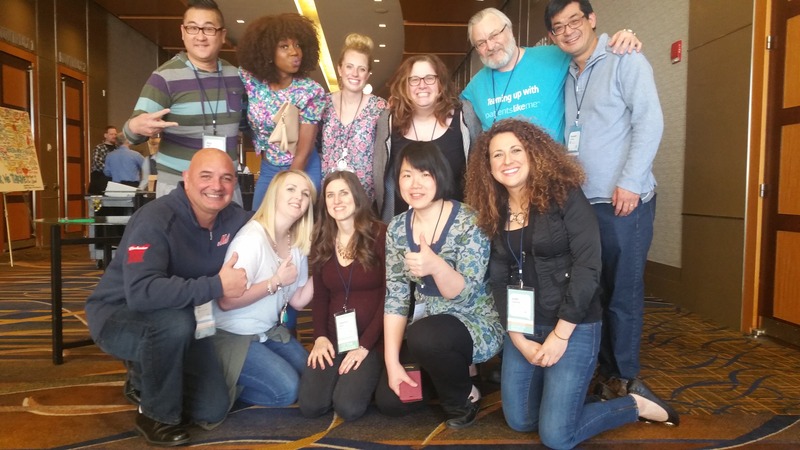 They have powerful voices in the psoriasis community. I want to encourage more individuals to be involved and help others live life to the fullest. Let’s live the dream together and raise awareness about psoriasis and psoriatic arthritis. Let’s put an end to the misconceptions about our disease. Let’s fight for a cure along side our mothership the National Psoriasis Foundation. Let’s Walk, Ride, Run, Cycle, and even Bingo for a cure. Pso many friendships are being made from events like these. 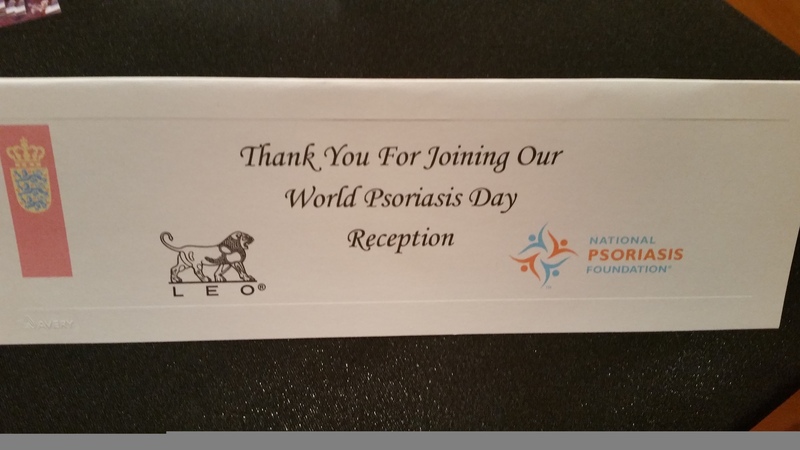 Pso what are you waiting for, join the National Psoriasis Foundation today. Together we can make a difference. OCTOBER 29TH IS WORLD PSORIASIS DAY. Happy World Psoriasis Day to all the friends I’ve met over the years. Each one of you has touched my heart in one way or another. God Bless you and your families. The NPF is going to being celebrating their 50th Birthday in 2017. We are celebrating at the Plaza Hotel in NYC. Seats are limited. Let’s not forgot the Volunteer Conference scheduled to happen in 2017. I hope you’re making your plans to attend. Wait your not a volunteer, no problem come anyway. I’ve been to four of these events and they are top notch. Plan your attendance with the National Psoriasis Foundation. I’ll see you there. If you sign up today you will get a free house breaking wee wee pad. Remember to have your pet spade or neutered. ​Very impressive results for this fairly new drug named Taltz. For most patients, hand and foot psoriasis can be very frustrating. Nothing seems to work for these areas. I know of three medications that are somewhat effective. However, Taltz is taking no prisoners when it comes to palmoplanter psoriasis which affects the hands a soles of the feet. According to the research, during the 12 week study, 50% of patients cleared 100% (PPASI score). As a patient Influencer I’m happy to report this information to the psoriasis community. It breaks my heart to see people suffering in this capacity. I feel their pain, because I’ve experienced it. The best news is that it has a track record for maintaining it’s effectiveness for 60 consecutive weeks. This is pivotal for people with palmoplanter psoriasis. Dr. Mentor is a specialist when it comes to all types of psoriasis. The recommended dosing for Taltz is an initial 160 milligrams (mg) subcutaneous (SC) injection followed by an 80mg SC injection once every two weeks for 12 weeks, then 80mg every four weeks. 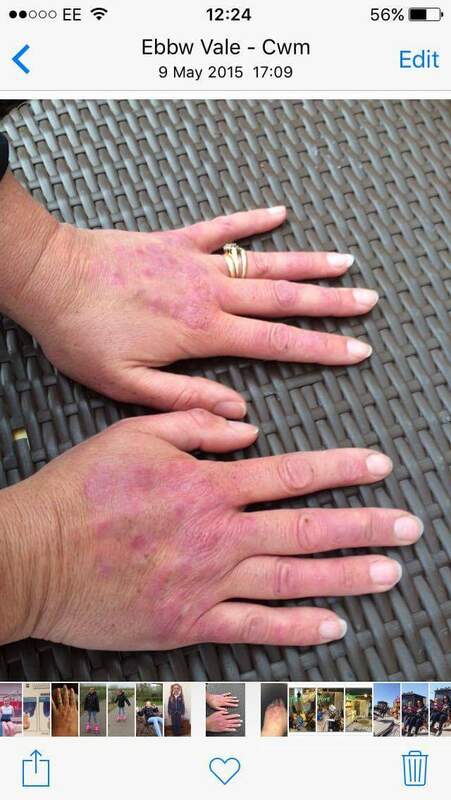 Taltz is a little more convenient then other anti-IL-17A medications for psoriasis. 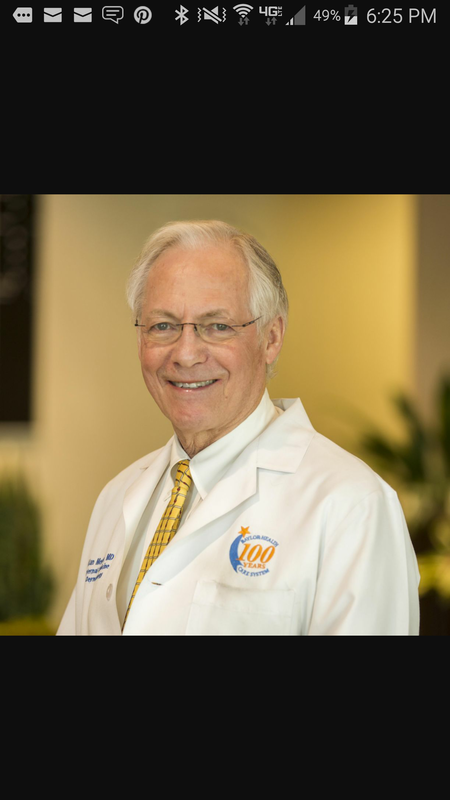 Dr. Menter’s article is in the link provided. ​Dara Grace Torres (born April 15, 1967) is an American former competitive swimmer who is a twelve-time Olympic medalist and former world record-holder in three events. Torres is the first swimmer to represent the United States in five Olympic Games (1984, 1988, 1992, 2000 and 2008), and, at age 41, the oldest swimmer to earn a place on the U.S. Olympic team. At the 2008 Summer Olympics, she competed in the 50-meter freestyle, 4×100-meter medley relay, and 4×100-meter freestyle relay, and won silver medals in all three events. Torres has won twelve Olympic medals (four gold, four silver, four bronze), one of three women with the most Olympic women’s swimming medals. She won five medals at the 2000 Summer Olympics when, at age 33, she was the oldest member of the 2000 U.S. Olympic Swim Team. She has also won at least one medal in each of the five Olympics in which she has competed, making her one of only a handful of Olympians to earn medals in five different Games. What they didn’t tell you is that Dara Torres did this all and she has Psoriasis. Each day she trained wearing her bathing suit as a business suit. She was subjected to the stares and comments like all of us in the psoriasis community, yet she found the courage to ignore it all and reach for the stars. Her accomplishments are super human. She truly is a Psoriatic Psuperhero. Dara is also the author of two best selling books. She is incredibly gifted and talented. Over the years she spoke about her psoriasis and the challenges. On August 18th she step it up a notch by sharing it on TV. 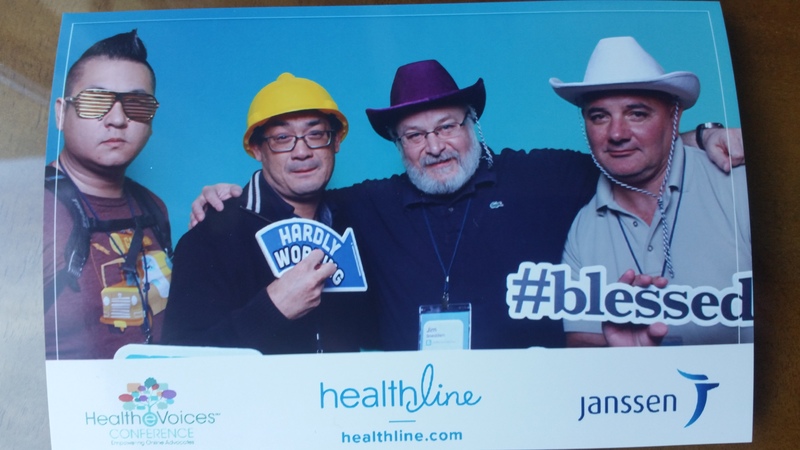 Celgene launched a campaign #ShowMoreOfYou and their website Show More Of You. (click on the highlighted text) Dara is the spokesperson for the campaign. I was lucky enough to interview her. I thought it went well. I was very excited to even be selected to speak with a Olympic Gold Medalist. I’m so thankful she is helping us raise awareness and to encourage others to accomplish their dreams despite psoriasis and psoriatic arthritis. Our mission is still hard pressed for a cure. Thankfully we have really good medications to fall back upon along the way. Thank you to everyone who made this possible. If you would like to sponsor our team Overcoming Psoriasis for our Walk here is the link> Www.teamnpf.org/nycwalk All donations are greatly appreciated. 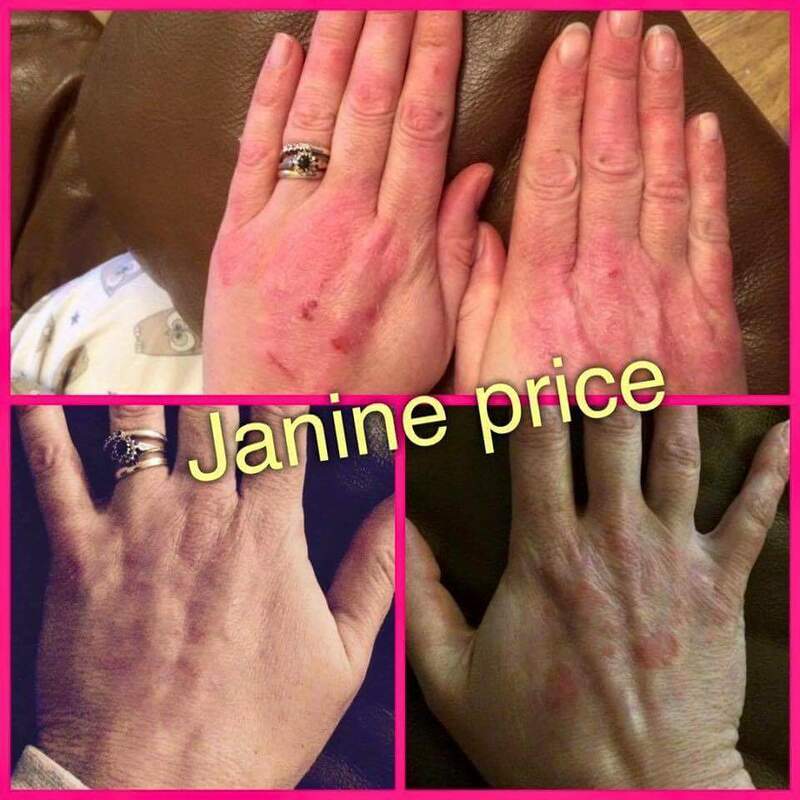 ​I met Janine in our group Overcoming Psoriasis. Janine has totally transformed her life. Psoriasis has made her a strong individual. 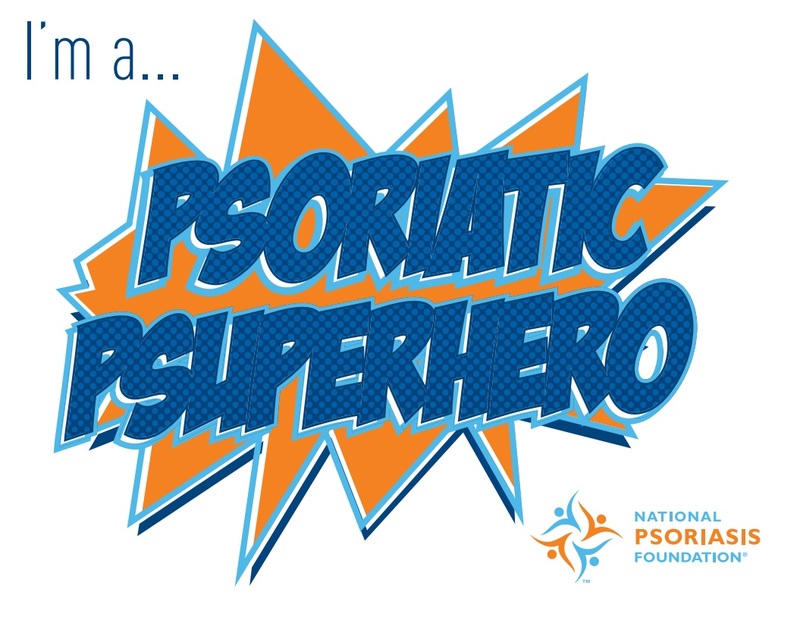 She is the definition of a Psoriatic Psuperhero. Read how she gained control of her Psoriasis in her own words. My name is Janine Price, I am 41 and happily married with a son aged 18 and a daughter of 10. I am self employed and have been for 14 years and live in the UK. I was diagnosed with psoriasis at the age of 22 during my 1st pregnancy. When I first when to my doctor I was told it was chicken pox. Two weeks later I returned and my usual doctor had returned and I was diagnosed with psoriasis. Treatment during pregnancy was difficult and it got much worse. I later tried all the lotions, potions, steroids and natural remedies including old wives tales that included boiling baby carrots and mashing them and leaving myself stained orange on my dry patches of skin. My parents would always listen to any advice from others and we would always try any soaps or suggestions in hope that something may be suitable and help. 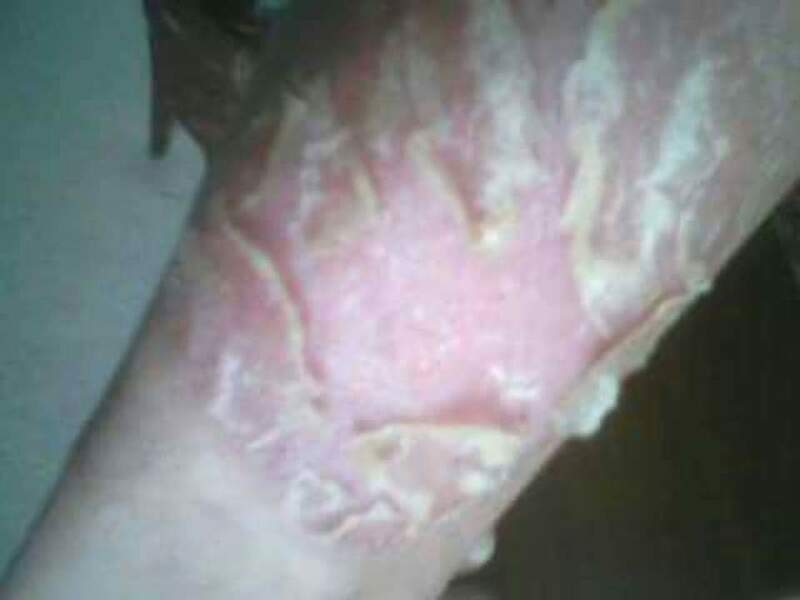 My problems are scalp psoriasis, and plaque psoriasis on my knees, hands, elbows and a few other places. I have always worked since leaving school and most people I have worked with colleagues that have been understanding of my condition but others made comments and remarks which have been upsetting. One day I put fuel in my car and went to pay and the cashier said ‘what’s wrong with you, is it contagious?’ and then pulled her hands away and I had to slide the money for payment while she reluctantly touched it. I always enjoyed swimming, and was keen for my children to develop this life skill at a young age but eventually I gave up taking them swimming locally and enrolled them in swimming lessons as I couldn’t face people staring or asking if I was contagious and sat and watched while my husband took them swimming. Swimming for me was something that only happened on holidays, and then I would get stares. During my 3rd pregnancy (sadly I had a miscarriage on my 2nd pregnancy) my psoriasis cleared. Unfortunately after a few months it reappeared and gradually got worse. Again, I tried all the lotions and potions. When nothing else worked I was prescribed methotrexate ( a mild form of chemotherapy) but this didn’t work and I suffered side effects including hair loss, headaches and other problems. I stopped treatment. Being quite run down, I decided I needed to escape to the sunshine – this had always helped in the past, even if it was short term. We booked a last minute escape to Gran Canaria from the UK. Our daughter became friends with another girl from the UK, we became friends and stayed in touch. I have changed my diet and now exercise, my psoriasis is currently under control. I ran my 1st ever 5k event and now I am training for a half marathon to raise funds for psoriasis research. I stumbled upon a group on Facebook called overcoming psoriasis and became friends with the founder. I would honestly say if you can, improve your diet and do whatever exercise you are able to. Thanks to Todd Bello, your commitment and hard work is amazing. You’re welcome Janine. But I can’t take all the credit. Overcoming Psoriasis is ran by an administrative team. I picked these individuals because they have a heart. We all struggle with psoriasis and psoriatic arthritis and we want to make a difference. They watch over our group to make sure it’s a safe and controlled environment. It’s a place to vent and find support. It’s informative and filled with compassionate people. We are unbiased when it comes to treatments. We all want the same thing, a cure, but for now will settle for safe and effective medications. Anecdotal remedies are shared and embraced when everything else has failed. This is an insidious disease that needs to be stopped. Support Research, Support the National Psoriasis Foundation. 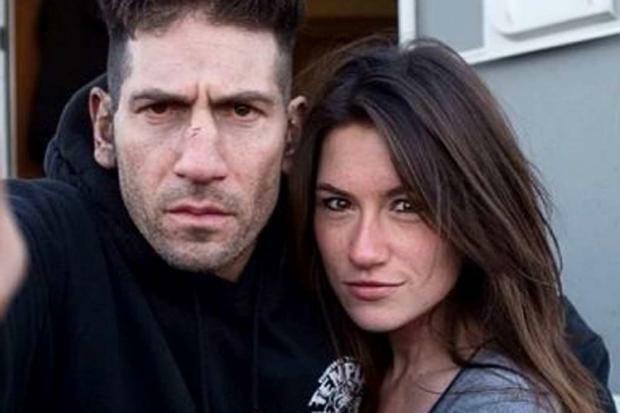 While boarding a flight Holly Dillon, with actor Jon Bernthal from the Wolf of Wall Street, was stopped due to her visible psoriasis. While returning from a holiday in Faro, Holly Dillon age 26, was stopped while boarding her return flight home. The boarding attendant was concerned about visible rashes on Holly’s face. Saying it was a “health and safety concern” the attendant asked her boyfriend indirectly. Little did they know Dillon is an Ambassador for psoriasis sufferers. She has many followers on her site “Get Your Skin Out”. Her campaign is about raising awareness and changing the publics misconceptions about this insidious disease that not only affects the surface of the skin, but also affects the organs and the joints. Dillon points out that psoriasis is a non-contagious autoimmune disease. Her reason for flying was to take in some rays which is very helpful to those of us with this disease. Dillon, of Peckham UK, was wearing no make-up while traveling home. Partly because the sun reduced her symptoms. She was feeling confident and renewed. That is until the boarding clerk from EasyJet asked her boyfriend about the rash on her face. She interrupted and said, “Excuse me, you should be asking me directly if you think there is something wrong. He said, It’s a health and safety procedure.” Dillion felt that his reaction was completely unacceptable, rude and unprofessional. Working with names like Brad Pitt and Jon Bernthal, Dillion is making a name for herself. She launched her campaign on Instagram gaining 1,500 followers within a short time frame. Hiring a professional photographer named Lewis Khan, she wanted to show her PUVA light treatments publicly. Light therapy for psoriasis is a tedious and time consuming process. It requires patients to travel to their doctor 3x to 4x per week. The cost can add up to more than a car payment each month. Not only that, treatments are temporary at best. Skin can be very painful if over exposed. 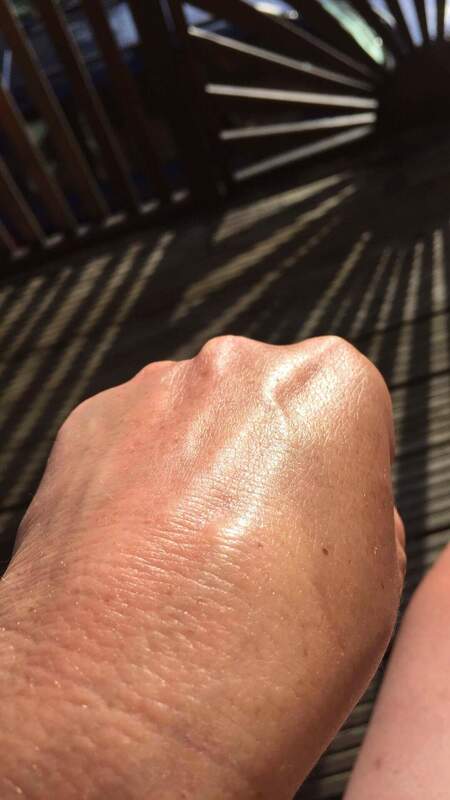 The light you recieve is UVB, making it much more intense than a tanning salon. The photographs show how effective light therapy is for psoriasis. And it also shows psoriasis in a positive light. She considers it a art form; the main two reasons why she contacted the photographer. Psoriasis affects more than 125 million people worldwide. That’s roughly 2% of the population. That number makes it the most prevalent autoimmune disease. It has the highest suicide rate and is linked with heart disease, arthritis, diabetes, cancer, and depression. Psoriasis is caused when skin cells regenerate too quickly. Celebrity sufferers include Cara Delevingne, Kim Kardashian, LeAnn Rimes, and Cyndi Lauper. 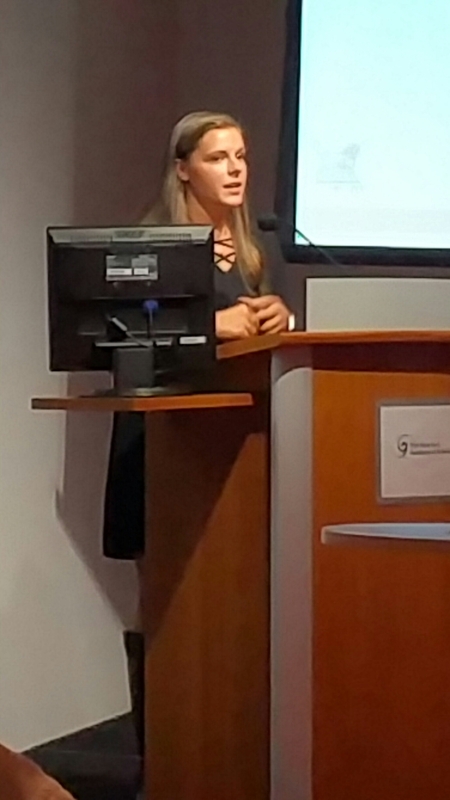 Holly Dillon had her first flare-up at age 14 and was diagnosed with guttate psoriasis, which caused small sores to develop all over her body four years later. Tonsillitis or Strep Throat is often the trigger for guttate psoriasis. Often the disease can interfere with every aspect of life. Treating the disease requires many sick days and if very severe can be disabling. Get Your Skin Out is another platform to raise awareness about psoriasis. We here at OvercomingPsoriasis.Com applaud Ms Dillion’s efforts to end the misconceptions about this insidious disease. EasyJet had this to say about the incident. “As soon as we were made aware this morning, we started an investigation. All of our staff are carefully selected and undergo training to maintain our high level of customer care which may not have been upheld in this occasion. We will be addressing this with the ground staff member involved as we always have high standards to maintain. Our customer team are contacting Ms Dillon to discuss this with her directly”. She’s been burning the candle at both ends while promoting Suicide Squad – and it seems her busy schedule has finally taken its toll on Cara Delevingne . While she stunned on the black carpet at Monday’s world premiere in a plunging metallic studded mini-dress, the 23-year-old couldn’t hide a collection of painful-looking red sores all over her body. With her skin exposed, it was clear to see that the British beauty had attempted to cover the marks with make-up and while they looked slightly faded, they were still evident. Cara has spoken openly in the past about suffering from stress-induced psoriasis which could explain her sudden outbreak. Her heavy workload promoting Suicide Squad has seen her travelling across the globe, with late nights, jet lag and stress perhaps causing the skin condition to flare up. 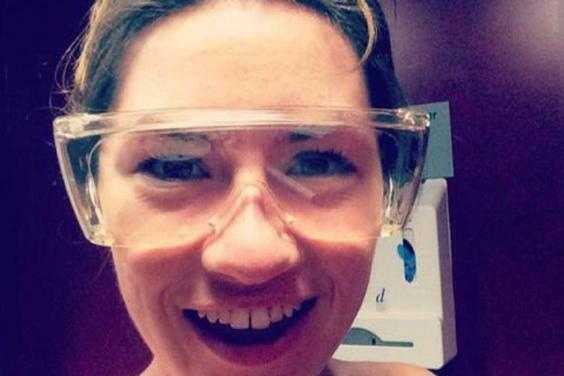 Her psoriasis first came to light during Paris Fashion Week in 2013. I agree…plus they make it sound like it can be fixed by using the word “sores.” It’s a autoimmune disease. They need to do their due diligence. I admire Cara for her bravery. But if it becomes more severe like mine I’m sure it will mess with her self-confidence. It’s hard to have self-confidence or self esteem when society is staring at you like a insect. Especially when they make rude comments and you’re in chronic pain all the time. Speak to me when your covered and people are avoiding you at all costs because they think you’re contagious. Until then nobody will understand what it’s LIKE!